Wouldn’t it be better if we paid a bit more attention to earth now? Than worry and panic when we’re dying along with it? We don’t all have to be big eco-friendly people, we could do small things. After all- small things make a difference too. We could start at home, avoid using plastic bags; don’t leave the lights, fans, AC’s, TV and electronic devices switched on unless you really need them; to make sure you close the taps properly…haven’t we all learned this in the best boarding schools in India? Don’t we see it in magazines and websites under “how to not kill your planet?” section? 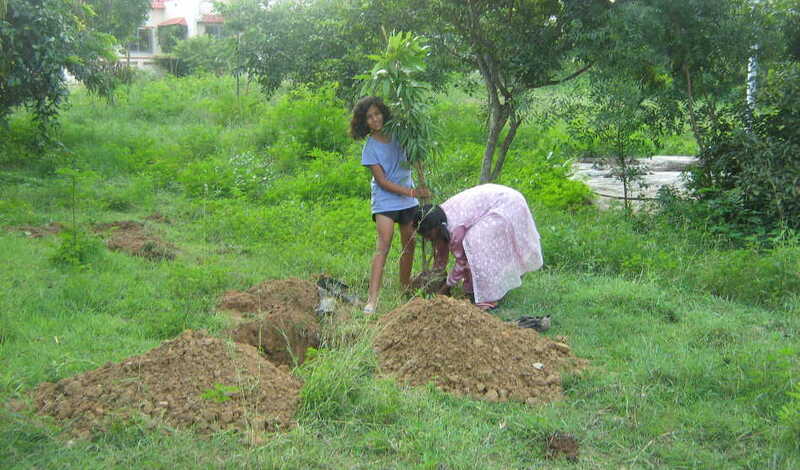 And yet, why don’t we do it?Earth Not Dyimg - Peepal Grove BlogSimple: we don’t care. What’s the point? We’re all going to die anyways. Why should I do it? One person won’t make a difference. It’s not cool (believe me I know people who think that way). So what? Let it die, it’ll only die in a few decades and I won’t be here to see it (Seriously?). I’m too busy. So let me get this straight, we don’t want to do anything to save the land we live on…because….of the above reasons? Let the planet die because we’re too busy thinking about only ourselves? Well here’s an interesting fact: this planet is your home! Earth dies, you die. 50 years from now, I’m sure most of us will be alive and things are going to be very different. There won’t be parks, no trees, and no lakes- you know why? Because they’re not going to last that long with these conditions! We may plant trees, hundreds of them BUT if the weather’s too hot- say a 105 degrees and we all have to wear these crazy suits just to step outside our houses, the trees will not survive! Neither will lakes, ponds, oceans and any other water bodies. Already towards the ‘polar’ regions, the ice is melting- big time! Because of the heat. Global warming. We’re not going to have enough water to even brush our teeth in the future! You can forget about bathing for sure! Oh I forgot we probably won’t have food either. Yep. You see we live in a world where everything and everyone is inter-dependent on something else. So the plants, meat, grains, everything we consume will also be dead. See the livestock won’t survive long because we won’t be able to feed them let alone ourselves. So all your KFC, Barbecue wings etc are gone. No more of that. Then plants need water to grow and various other factors of course. But if we don’t have water to drink, how can we spare water for plants? And if plants don’t have water they can’t grow, and so-no plants. No food. We’ll be living on calcium, vitamin A B C D tablets. Sound tasty? I don’t think so. To live in a place where you don’t have enough water to even drink? Where you have to wear suits to go out and walk around with oxygen masks just to step outside? Where the land is barren and brown? Where there is no food?